Are you a violin teacher who is passionate about teaching violin music? Do you want to teach at the comfort of your own home studio, or at your preferred areas only? Do you want to fulfil your dream as a full-time violin teacher? We are currently opening up 3 slots for enthusiastic and experienced violin teachers to join us to continue our mission of inspiring more people to love and play violin music. We want to help you fill up your weekly schedule with passionate students who are eager to learn violin from you. 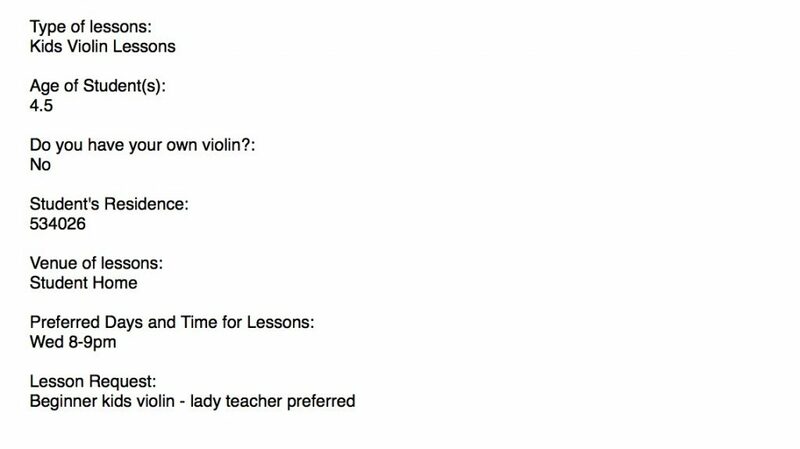 We also want to help you fulfil your dream of teaching violin full-time with a stable income, and a flexible schedule which you decide. 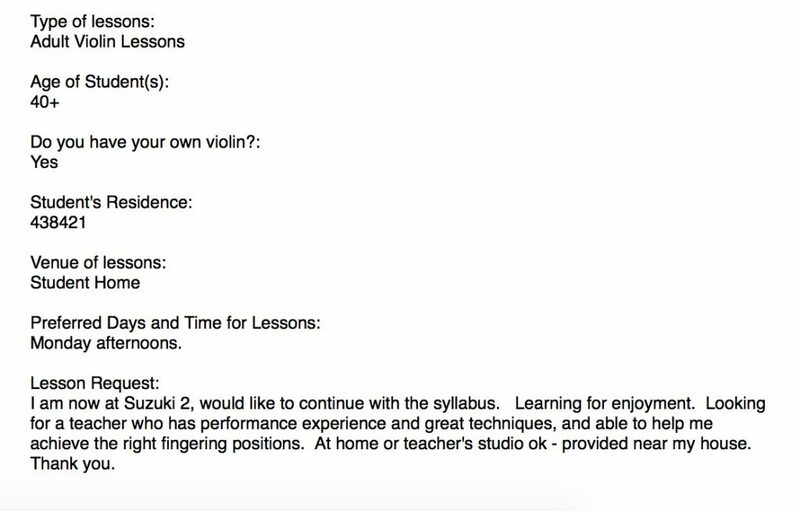 However, we are not looking for any violin teacher who has a certificate to join us. We are looking beyond that. 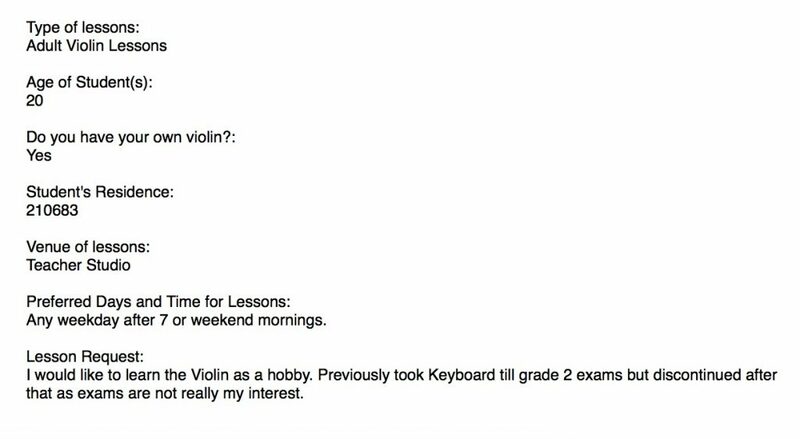 at least a Grade 8 in Violin from ABRSM or Trinity College London, or equivalent. 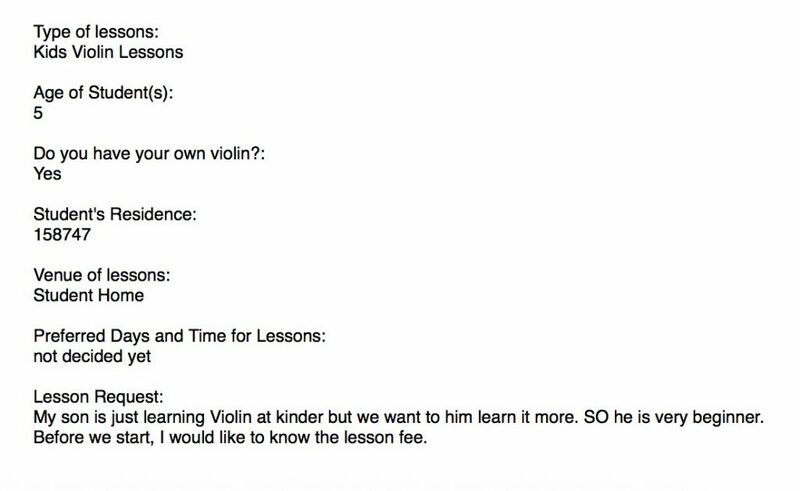 *We consider this important because we have heard enough of de-motivational stories of students quitting violin because their teachers are too strict, or they lose interest in violin because of the teacher’s teaching style. You will only pay us when the student joins your class. No upfront fees or anything. We will do the matching work for you to ensure that the students learning needs and expectation fit yours. You just have to arrange the first class with the lesson once lessons are confirmed. You will get students who fit your stated preferred areas of teaching, and teaching rates. We will help build up your teaching career with a FREE full-page profile on our website. Just like a Free personal website of your own. 1. Fill up the form below. 2. We will get in touch with you to confirm your application.